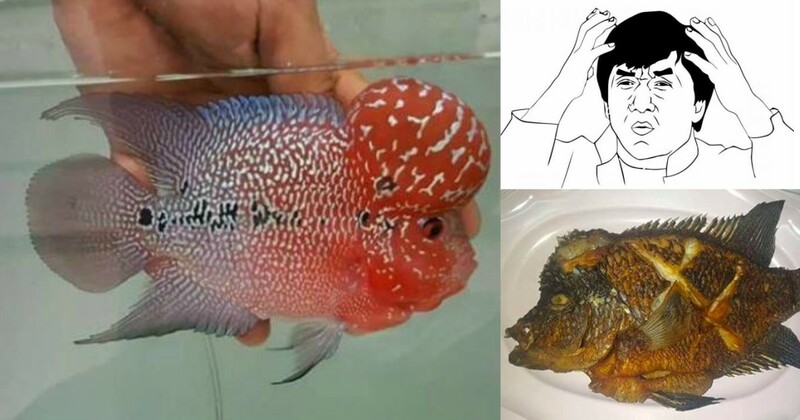 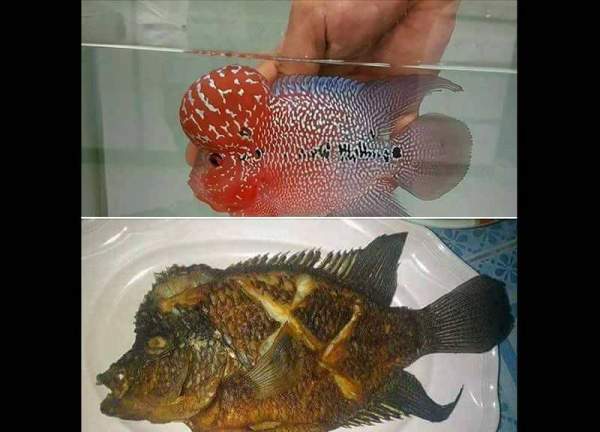 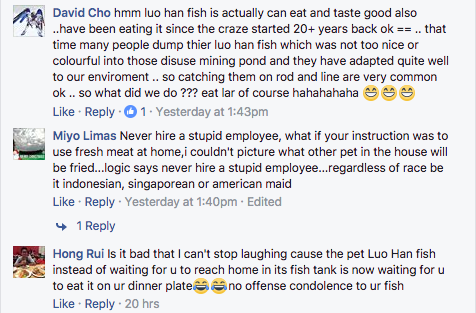 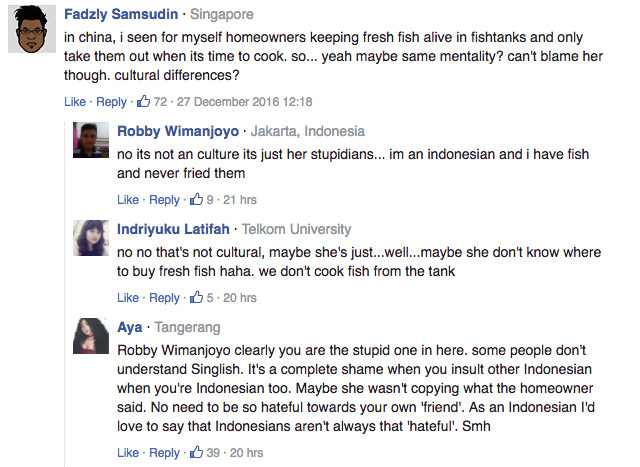 First published on the local site All Singapore Stuff yesterday morning, the short post shared how one owner had come home to find that his pet Luo Han fish had been fried and served up for dinner. 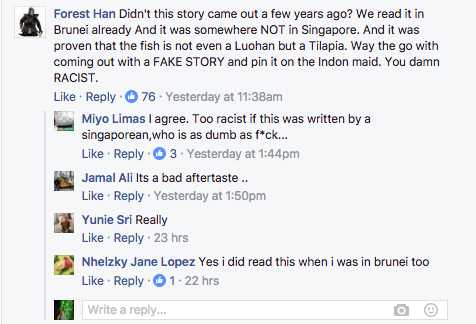 But if you had been paying close attention to the comments in the original All Singapore Stuff’s Facebook post, you would notice that some observant individuals were calling it out as fake news. 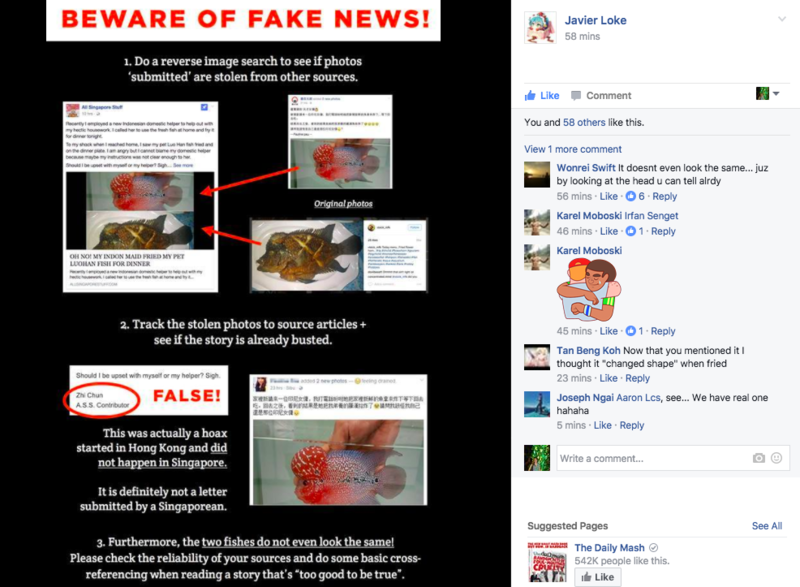 When the post was shared by MGAG this afternoon, it was quickly followed by a complete debunking by one Javier Loke, who proceeded to break down exactly how fake news could be engineered. 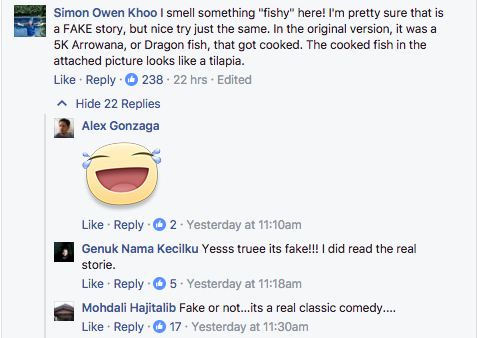 While these sort of stories may not appear of much consequence, it does reflect a worrying issue – that it is way too easy to lead people by the nose with a crude cobbling together of fake news.